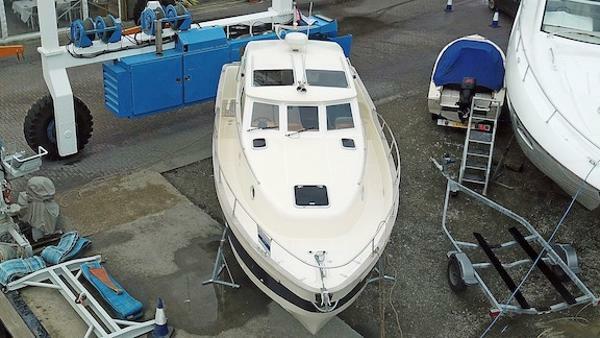 Delphis Ten - Dorset Lake Shipyard Delphis Ten (2000 Model Year) Twin Volvo Penta KAD32 diesel engines (170Hp each). 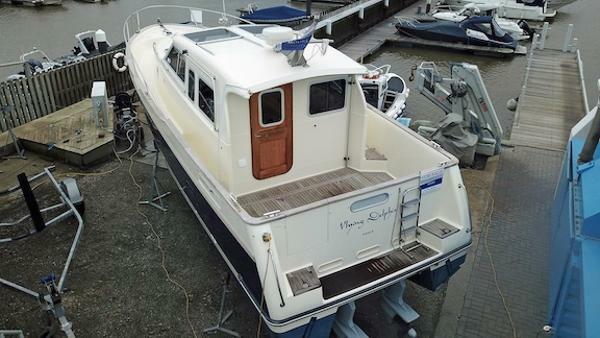 This example of the Delphis Ten is offered for sale in good condition and has been maintained to a high standard having recently benefitted from full preparation for the 2019 season including engine and outdrive service, hull and deck polish, antifoul and new set of batteries. 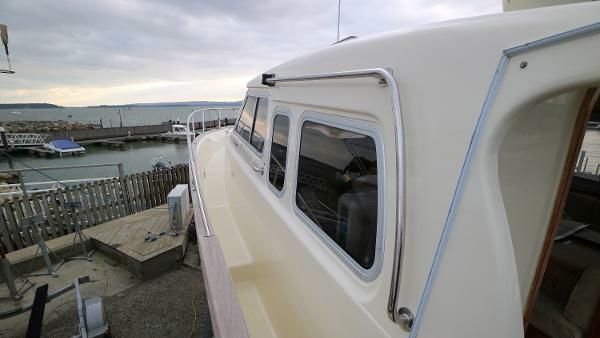 The Delphis Tenboasts traditional classic styling combined with protected walkaround decks for safer handling. Her Handcrafted wooden interior provides welcoming luxury accommodation. The Delphis Tenis designed to provide comfortable cruising for up to 6 people safely without compromising on the performance and economy of this exceptional boat. Viewing is highly recommended to appreciate this rare and well-regarded gentleman’s cruiser. Priced competitively and ready to be enjoyed, please contact us to discuss this fine opportunity in more detail….